You may feel devilish barrelling down the freeway at 110km, but the driver of the world’s fastest car – the Hennessey Venom GT – has clocked in at a breathtaking 435.31 kmh. This feat was achieved on the Space Shuttle runway at the Kennedy Space Centre in Florida last February, and it hasn’t been topped yet. It broke the world’s previous speed record of a mere 434.30 km/h – held by the Bugatti Veyron Super Sport since July 2010 – but the Veyron still holds the Guinness World Record for technical reasons. When the Venom had an official crack at the record in February 2013, it only managed to nudge 265.7 mph at California’s Air Station Lemoore before running out of space on the tarmac. Guinness only recognises the average speed of two runs done in opposite directions, to cancel the effects of wind. To put it in context, these cars at full throttle approach twice the speed of a Boeing 737 on take-off. Scary stuff. 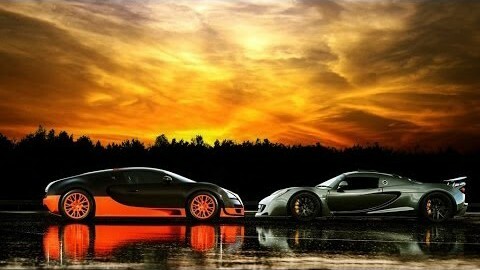 But nothing will stop Hennessey and Bugatti in their battle for supremacy. Hennessey Venom GT : The world’s fastest car. The Hennessey Venom GT, as well as being the fastest car on the planet, holds the Guinness World Record for the fastest production car to accelerate from 0-300 km/h, making the speed in a hair-raising 13.63 seconds. 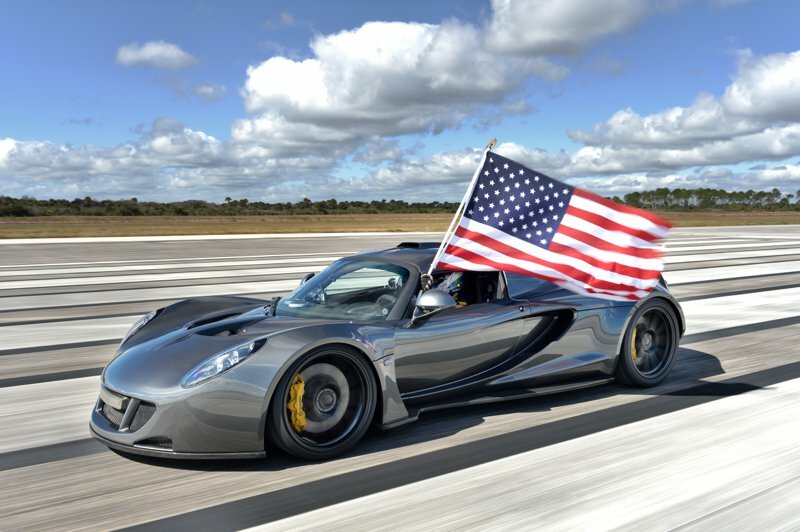 Using a modified Lotus chassis, engines are air freighted from Texas to Hennessey’s assembly facility near Silverstone, in England, where the Venom GT is built and tested. Production is limited to just 10 vehicles per year, and buyers are offered a one-day instruction program by a specialist driver prior to delivery – to make sure they know where the brakes are, perhaps . . .
Buigatti’s contender: The Veyron Super Sport. Makers of the Bugatti are also determined to keep their buyers safe. The car sold to customers is electronically limited to 415 km/h to stop the tyres exploding – not to mention the drivers’ heads. However, this modification has put Bugatti’s official speed title in dispute. In April 2013, its Guinness World Record status was removed when Guinness declared that production cars cannot be modified. The Ultimate Aero TT then claimed the record. Only for a moment though. Days later Guinness thought better of it, and gave the record back to Bugatti, saying it didn’t change the fundamental design of the car or its engine. The Super Sport does 0-60 in 2.4 seconds, has an 8.0 litre W16 engine producing 1,200bhp and costs a mind-boggling $2.4million. 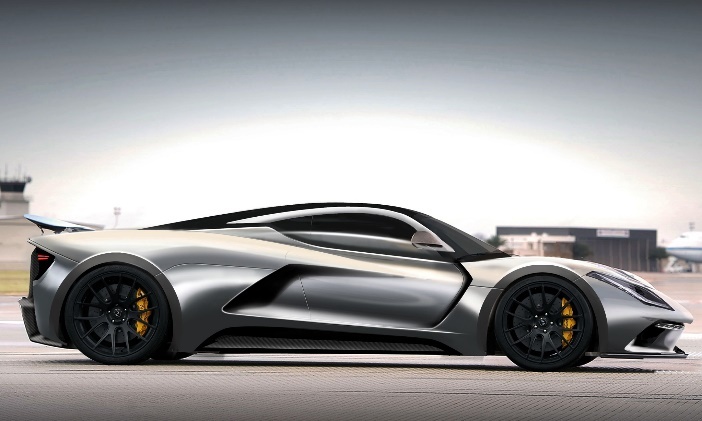 Hennessey Venom F5 – just around the corner . . .
New Kid on the block: The updated Hennessy Venom F5. But there’s a new kid on the block. The updated Venom F5, named after a particularly fierce tornado, is set to reach customers in 2016.